Founded in 2001, Hiti (pronounced like “hi - tee”) is well known for inexpensive but high-quality digital photo printers. The Taiwanese company’s digital dye-sublimation photo printers have been awarded with 8 DIMA Digital Photo Printer Shoot-Out awards from PMA (the Photo Marketing Association.) Hiti continues to focus on its core competence in the field of dye-sublimation-based photo solutions for event photography, retail photo, photo booth, passport and id photos. Imaging Spectrum was an early adopter of the Hiti photo printer line and as a result, we foster a close relationship with the Hiti US team based in Los Angeles. This affiliation and our expertise with the Hiti products benefits our customers and allows Imaging Spectrum to offer the best and most competitive photo solutions. The WFT510 is the ONLY wireless foto transmitter designed to work with PictBridge compatible digital cameras. The Hiti 720L boasts an incredible number of prints per roll (1000 4x6 prints per roll / 600 5x7 prints per roll) translating to less down time, and the 720L offers the lowest cost per print in the 5x7 category! BEST Photo Kiosk Award from TIPA 2010! The HiTi 510S has been discontinued by the manufacturer. 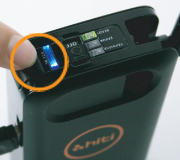 You might like to take a look at the HiTi P520L photo printer. Embedded wireless receiver. 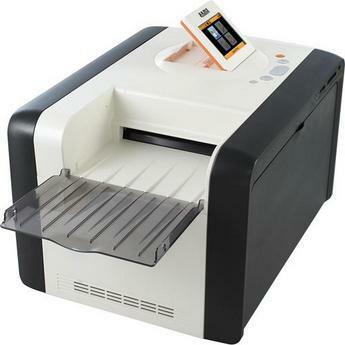 The first 6-inch standalone roll-type photo printer with direct wireless capability.